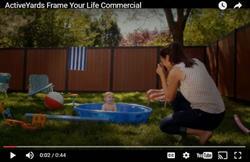 CLEVELAND, OH--(Marketwired - September 28, 2016) - ActiveYards® has debuted their first national broadcast television commercial, featuring their recently introduced line of Fusion™ Series privacy fencing. 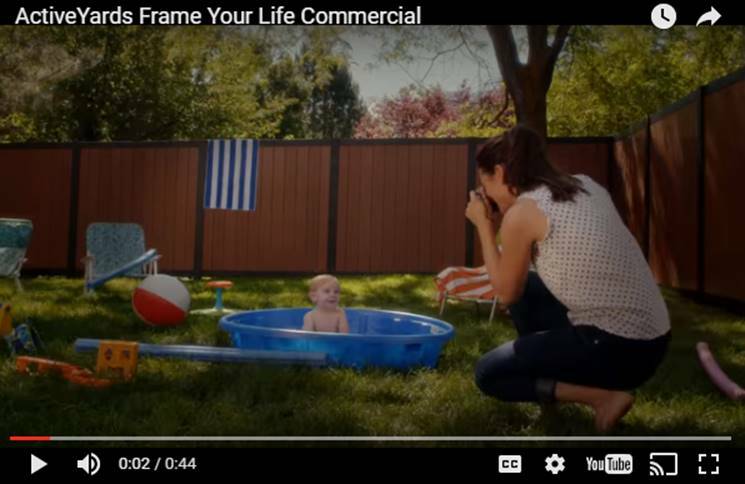 The Frame Your Life commercial highlights the Fusion Sequoia product in a tug-at-your-heartstrings view of life changing moments that happen over several decades, proving that ActiveYards is truly "your fencing solutions for life®." ActiveYards Marketing Director, Melissa Freed, states, "We are so proud to introduce our new and innovative Fusion Series product line to the marketplace and this commercial allows us to bring it into consumers' homes."